The Barrick Gold mine in Cotui, Dominican Republic is full of gold. It’s apparently also full of life-threatening toxins as well. Over 1000 people were hospitalized after inhaling an unidentified chemical substance in the mine. The chemical is so toxic that doctors and nurses caring to the patients need to wear masks. Apparently, the cause was a boiler explosion that spread the chemical around. Dominican Today: More than 1,000 workers of the mining company Barrick Gold who were preparing to exploit a gold deposit in the northeast village Pueblo Viejo, Cotuí, were today intoxicated by inhaling an as yet unspecified chemical substance. Many of the doctors and paramedics who attend the victims had to wear masks as the result of agent’s extreme toxicity, as Emergency Operations centre (COE) director Juan Manuel Méndez confirmed the reports. 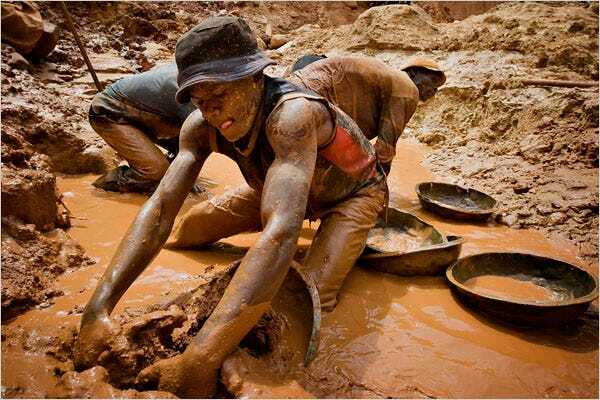 The workers reportedly began to feel woozy, headaches and other symptoms including vomiting and one miner said the number of injured may rise.